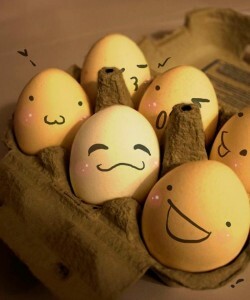 Eggs! People seem to love them or hate them! Regardless, they are crucial part of cooking and baking. Some people however try to avoid them! 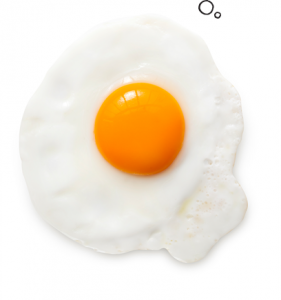 There is a widely accepted notion that eating eggs, and more specifically, egg yolks, will increase your cholesterol levels, and therefore your risk of heart problems and stroke. This idea appears to be accepted among many without question! But is this statement fact or fiction?! 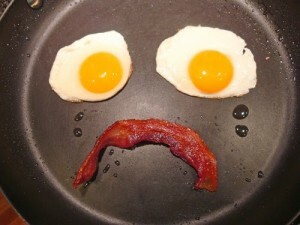 Does the consumption of eggs increase your risk of heart problems and stroke? I found several studies which considered this question, three stuck out to me. The first was found in the U.S. National Institutes of Health’s National Library of Medicine. Here, I found a 20 year long, longitudinal observational study with over 21,000 participants. The consumption of eggs was documented by a weekly questionnaire. Based on the number reported, the risk of stroke, myocardial infractions, as well as death, was assessed by the frequency of consumption. They grouped amount of eggs consumed into various levels of frequency. Because of confounding variables, additional questionnaires were also sent out on a less frequent basis, checking several other aspects of the participant’s life, such as alcohol consumption, and diet. Their data concluded that the amount of eggs consumed had no significant effect in those areas. That held true for men and women, but not for diabetics. Unfortunately for diabetics, their relative risk was double that of a non-diabetic person, in all the consumption level categories. Slightly astounded that being a diabetic could so greatly increase the risk for diabetics, I sought out additional studies to see if this was a fluke. I found a meta-analysis, published in The British Medical Journal which reviewed the work of 17 similar studies. Several thousand people were involved in those studies, so there was no problem with small sample sizes! The results of the meta-analysis came up with the same conclusion! Egg consumption led to no additional risks for non-diabetics, but an increased risk for diabetics! Now that this strange result was backed by the power of a meta-analysis, I went to find out what it was exactly that cause the consumption of eggs to be so much riskier for diabetics. There seems to be a lot of information connecting the consumption of eggs to diabetes. Not only does it seem that eggs increase your risk of heart problems and stroke, as a diabetic, but there is a lot of information connecting the consumption of eggs to the development of type 2 diabetes. The information on whether this connection was strictly a correlation, or was causal as well was less clear. Here, is a video which I found most helpful on the subject. To conclude, no, egg consumption does not increase your risk of heart problems or stroke, unless you are a diabetic. This is true for both men and women. From these results, it is safe to say that SC200 students can continue enjoying eggs worry free… unless you are diabetic. This entry was posted in Uncategorized on December 1, 2016 by Lucille Laubenstein. There is so much conflicting evidence about this topic. Honestly, as a young person that gives very little thought to her health and future health, I will continue eating eggs in moderation. This blog post gives me a reason to ignore conflicting studies! This blog post reminded me of the Japanese students that hatched an egg outside of the shell. https://www.youtube.com/watch?v=FywnzTAO3r8 I think this is absolutely fascinating and shows that although science has a lot to discover, we’ve also come extremely far. Anyway, great blog post. Your sources are reliable and the meta-analysis really makes the study legitimate.